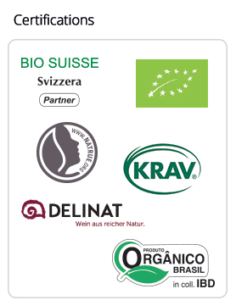 Certification of the organic agro-food and non food production is the leading activity of Ecogruppo Italia. This certification pays attention to safety topics and effectiveness of cosmetics and qualifies those firms that wish to operate within the area of Organic cosmetics with continuity, seriousness and commitment. Water is the basis of Life. It quenches our thirst. It purifies us. We use it for cultivation and we cook with it. Inevitably, after their use, detergents end up into watercourses and drinking water. Our standard aims to preserve the quality of our water, as a commitment for generations to come. ECOGRUPPO ITALIA’s standard leads firms to design accommodation structures and services according to the most innovative principles of the sustainable tourist economy. Packaging is inextricably linked to the products we buy. It also has a high-tech production story with an elevated technical content and environmental impact. A new blog by Ecogruppo Italia with all the latest news about eco friendly development, certifications, organic cosmetics, organic farming. In 2017 we introduced a series of important modifications regarding the management of Certificates of Conformity and labels. The Certificate of Conformity, has to be requested annually by the operator and has a year’s validity, instead of the original three years. It will be based on the information obtained, and then evaluated, from the Annual Plans and the inspection visits. Labels authorisation has been changed into Labelling authorisation. For packaged goods, the operator sends a written request to the Certification Office for labelling of the organic product. 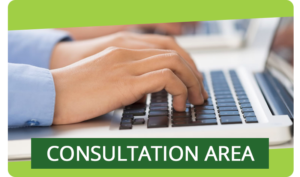 This request is accompanied by a proof copy of each of the labels to be used, by format and type of product. Authorisation for the labelling is then granted and the proof copy is returned to the operator with a stamp of approval. The labelling authorization is no longer linked to the quantity of labels used. 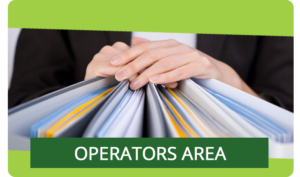 Shortly, operators controlled by Ecogruppo Italia can fill in electronically the registers on our platform. The new register will allow the operator to monitor in real time the flow of products and will speed up Ecogruppo Italia’s control activity, with positive impact on the release time of certifications. 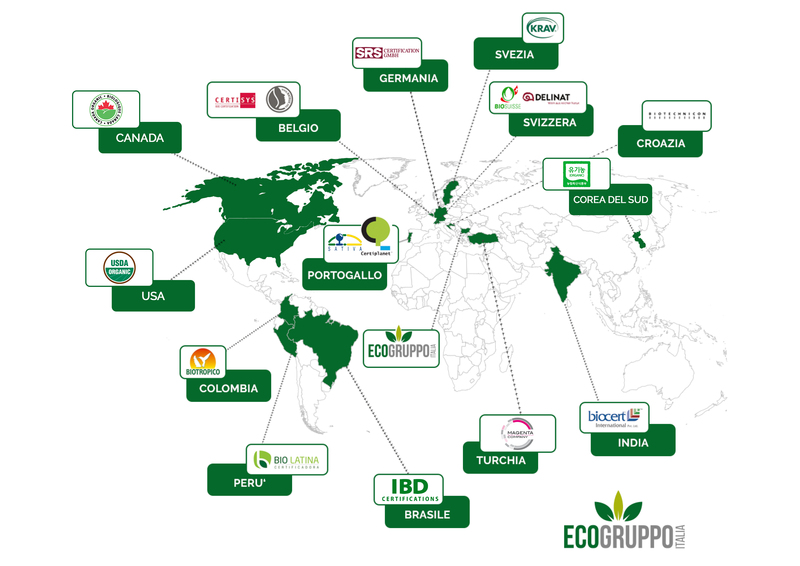 The Certificates of Ecogruppo Italia are valid for all European countries. Also, thanks to mutual equivalence agreements between the European Community and some third countries, our certificates can be used to sell organic products in south Korea, Canada, The USA and Japan.